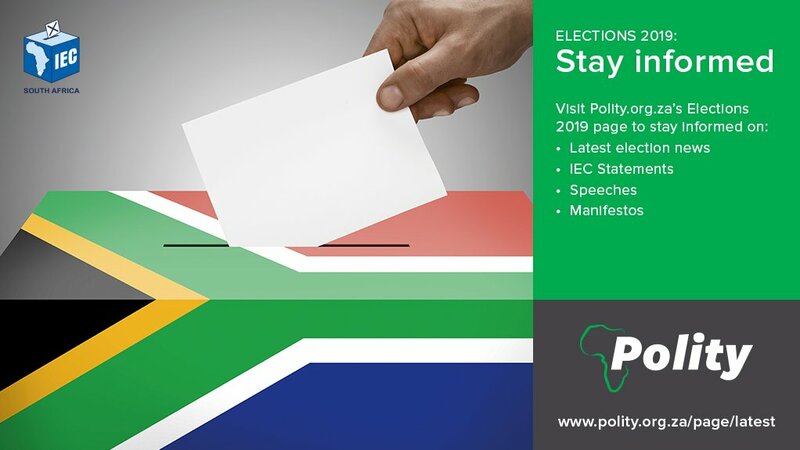 Detailed coverage of South Africa’s upcoming May 8 election is being offered on Creamer Media’s Polity.org.za, as the site has launched a new dedicated section – called SA Election 2019. 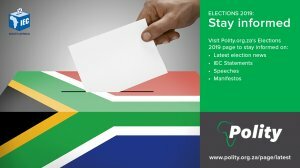 Polity.org.za’s coverage includes the latest election news from all political parties, access to election speeches, party manifestos, exclusive video interviews with party representatives, as well as statements and live Tweets by the Independent Electoral Commission (IEC). “Polity’s mission is to offer access to information to deepen democracy in South Africa. Our 2019 election coverage will enable South African voters to make an informed decision on May 8,” says Deputy Editor for Polity and Multimedia Sashnee Moodley. Visit Polity.org.za’s election page to watch video interviews with UDM leader Bantu Holomisa, GOOD leader Patricia de Lille, DA representative Makashule Gana and IEC CEO Sy Mamabolo, with more to come. CLICK HERE to visit the SA Election 2019 page.